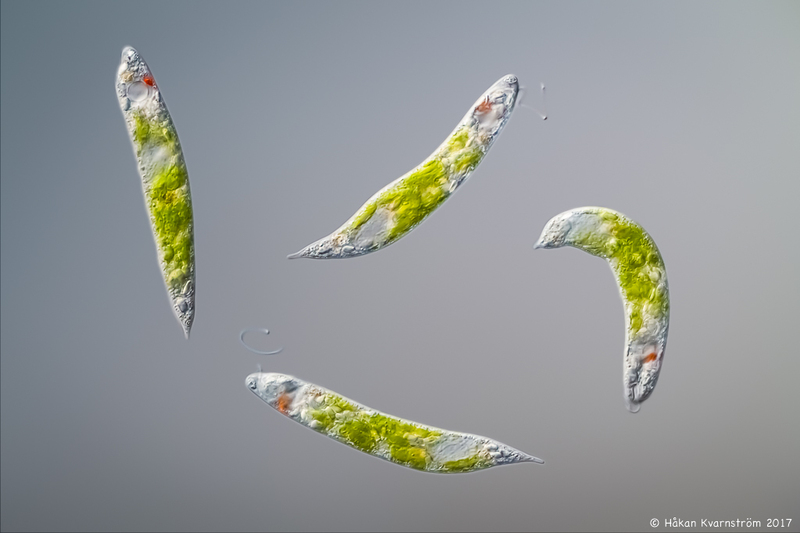 I found a couple of what I believe to be Euglena in a recent water sample. I am really fascinated by these "shape shifters". Amazing life forms. And colorful. They moved around quite a lot and were very difficult to capture and impossible to stack. I adopted the "spray and prey" method and took a couple of hundred single images. Then I selected these which were the only few I managed to get in decent focus. No stacking, just single images. 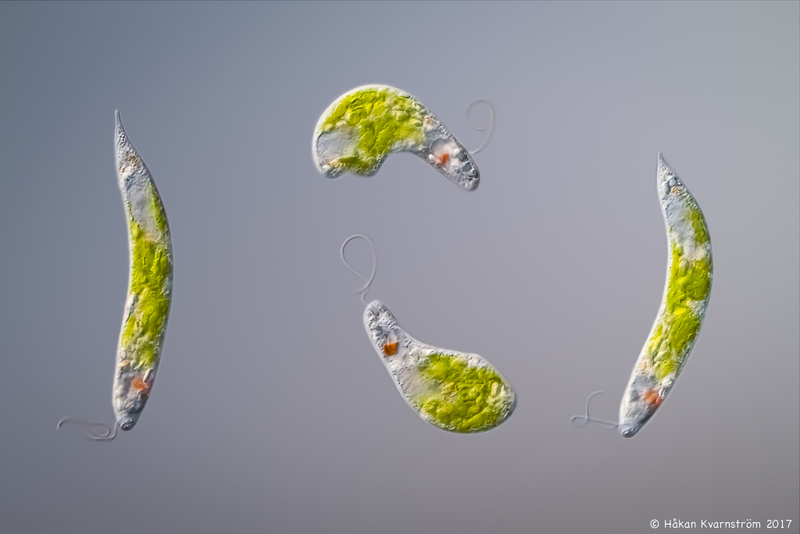 To freeze the flagella I used an exposure time between 1/2000 and 1/2500. Hence, ISO is quite high, but noise was not too bad. 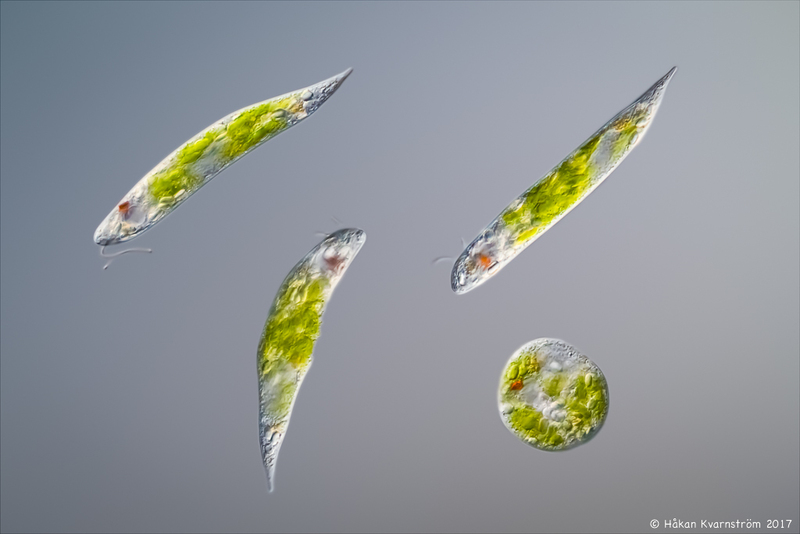 The DIC background was very homogenous between images so I decided to put 4 Euglena on each image and these were selected such that their final location on the image you see was close to their location in the original image. Hence, they melted into background in a natural way without too much adjustment. Great job - the last image is awesome!